I was setting up my MacBook Pro with Retina display to work with a new external monitor today, thinking that when I connected to the monitor via HDMI and closed the lid, I’d see the display up on the new monitor. I was disappointed when I saw absolutely nothing up on my new monitor, so I went searching to find out how to make it work. Is it a special setting in the System Preferences? I haven’t had an external monitor for a while, now; maybe things are more complex. Luckily for me (and you! ), it turned out to be much simpler to make happen. Here’s the recipe. Make sure your external monitor is plugged in and powered up, and connect your MacBook (any of the above flavors) via HDMI (or DVI, RGB via a dongle). Have your MacBook open to deal with any issues in getting the mirroring just right. Make sure you can see your display image up on your external monitor before you move to the next bit. Make sure you’ve connected an external keyboard and mouse, either via Bluetooth, USB, or radio dongle. I like Logitech’s K811 keyboard along with the company’s M510 mouse, but any combination of external keyboard and mouse/trackpad will do. 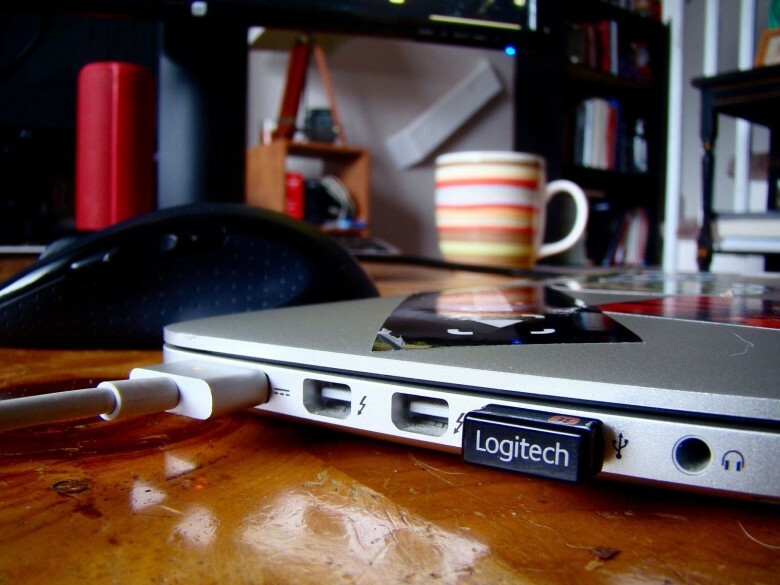 Now, the step that I didn’t realize I needed: plug your MacBook into power. Apple’s delightful laptops will not let you use an external monitor when not connected to a power source. I’m not sure why that is, but I’m assuming that they want enough power coming from your MacBook to drive the signal clearly and strongly. Once you’ve got it all hooked up, and you’re seeing your Mac’s screen up on the external monitor, go ahead and close the MacBook’s lid. You might see a short blank screen, but it should come right back up. If, like me, you accidentally disconnect your MacBook from power while it’s in this closed-clamshell mode, it may look like your Mac shut down. Don’t worry; simply reconnect that magnetic power plug and tap the spacebar on your external keyboard a couple of times to wake the display. Now you’ll be able to work on an external monitor without having to deal with the MacBook screen staring you in the face while you work. You can even store the closed MacBook to the side or under the external monitor to give you a bit more desk space.